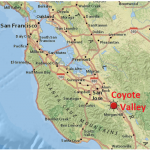 Discover Coyote Valley has been working with UC Cooperative Extension in researching chile pepper cultivation in Coyote Valley. 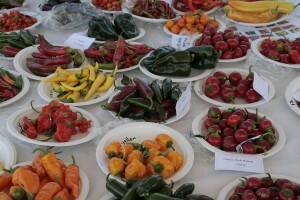 Over 70 varieties of chile peppers are grown in Santa Clara County. In 2013, Santa Clara County growers harvested two thousand acres of peppers. 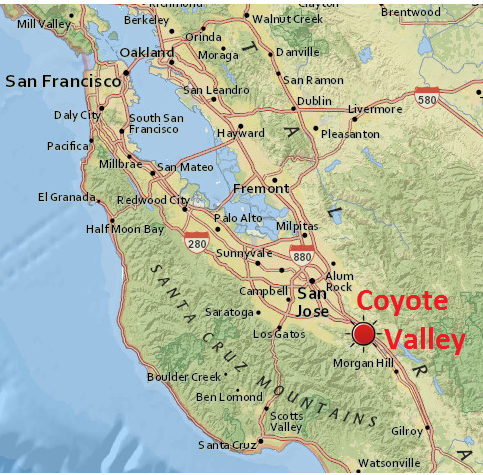 The Chile Pepper Plots are grown on Uesugi Farms, which farms in 80 acres in the Coyote Valley. 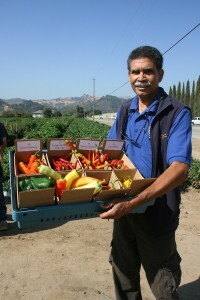 Over 65 of different chile types are growing and being harvested in these plots. What makes Chile Peppers Spicy? Capsaicin is the compound in chile peppers that give them their heat! The Capsaicin in chiles is found mostly in the white membranes and seeds of chile peppers- so the more of those you keep in while cooking or eating, the hotter it will be. Capsaicin isn’t soluble in water- meaning that drinking water will not help relieve the heat! Try another drink like milk to sooth the burn. Heat and flavor usually increase with maturity. 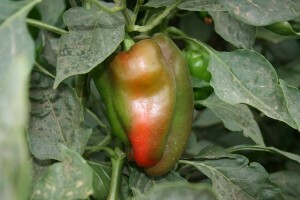 Hot peppers are typically green in early maturity but quickly turn colors including yellow, orange, purple, red, or chocolate brown dependin g on the type. Chile pepper heat is measured in “Scoville heat units”. Take a look at the Scoville Ratings for different Peppers (PDF). The Habanero pepper is rated as high as 1 million units! Chile peppers are incredibly versatile and delicious in cooking. Use just a little bit to add the right amount of heat, or have them be a feature of your dish. 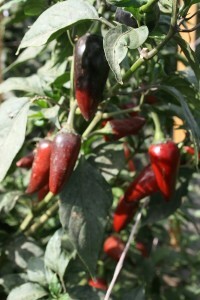 Chile peppers are used in all sorts of dishes from all around the world. Place all the ingredients in a food processor or blender and puree. Cut the sweet peppers in half, discard the seeds and stem. Put in a bowl and drizzle with 2 tsp. of olive oil. Cut the eggplant into 1″ thick slices, put in a bowl and drizzle with 2 tsp. olive oil. Let sit for a while. Grill the marinated peppers and eggplant. After they cool down, dice the peppers and eggplant to 1/2″. Chop the onion and garlic and sauté in 2 tsp. olive oil until golden brown. Add to the Mixture. Chop the habanero very fine and add to the mixture. Chop the olives and basil fine and add to the mixture. Take the leaves off of the basil and thyme, chop fine and add to the mixture. Add olive oil, salt, and pepper. Mix well. Let sit for at least one hour or up to 3 days in the refrigerator. Bring to room tempurature and enjoy with nice crusty bread. Its a great dip, sandwich spread, grilled fish topper, use as a layer in your baked lasagna, use as stuffing in your pork chop (make pockets in your thick pork chop and stuff it and pan roast), stuffing for chicken breast (make pockets in the chicken breast stuff and pan roast), butterfly a leg of lamb and spread it in the middle and roll up tie with string and roast… and of course whatever else you can think of!